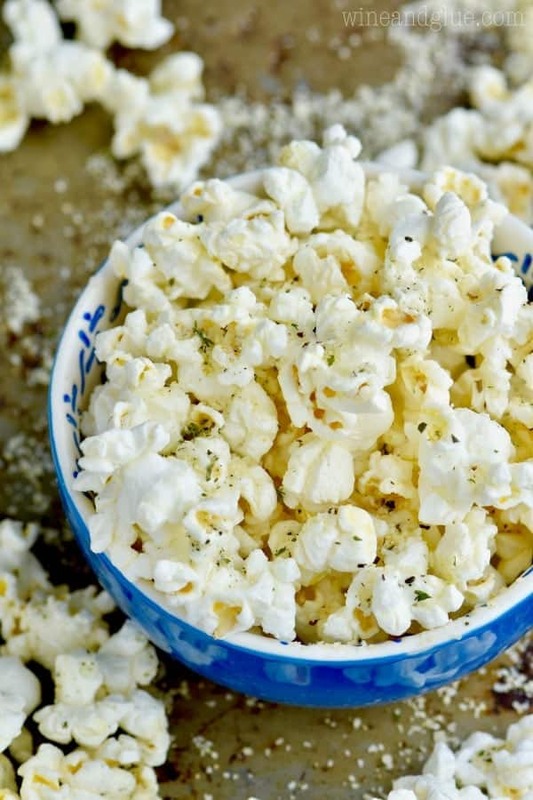 This Italian Popcorn is such an easy snack that you can feel great about! I’m so happy to be working with Subway to bring you this awesome snack and tell you all about their Rotisserie-Style Chicken Sandwich! Over the last year with selling a house (over the course of like 50 showings) and moving and then having 40 other hard things happen at the same time, I kind of learned that I’m a comfort eater. Go figure! I know. You guys can pick yourselves up off the floor from shock now. But over the last year, I’ve really tried to make my comfort eating both easy and something I can feel good about. Like I want comfort food. I don’t want shame and regret. While we were moving and showing our house a ton, we discover something kind of amazing. My kids *love* Subway sandwiches! As soon as we figured it out, it became a regular thing for us because it was something that I felt so good about getting them and it was finally a quick restaurant that I actually wanted to eat at myself! 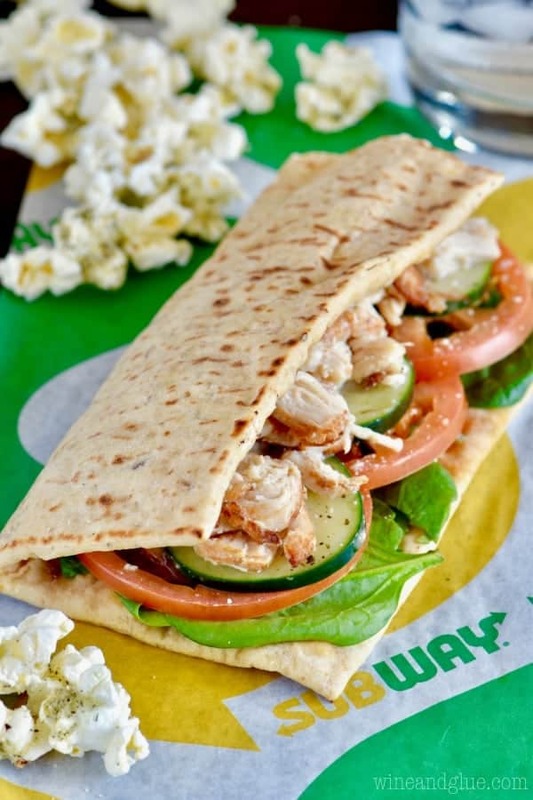 And right now at Subway they have their Rotisserie-Style Chicken Sandwich! When I went in, they suggested that I try it on their flat bread, and it was seriously so good! It is made with tender hand-pulled all white meat chicken that is raised without antibiotics. I love their commitment to better ingredients and creating quality, flavorful sandwiches. Such a great option when you are out and about with the kiddos. Make sure you head to Foodnetwork.com to hear chef Jeff Mauro talk about the Rotisserie-Style Chicken at Subway. And speaking of delicious easy comfort food, this Italian Popcorn fits the bill and goes perfectly on the side. 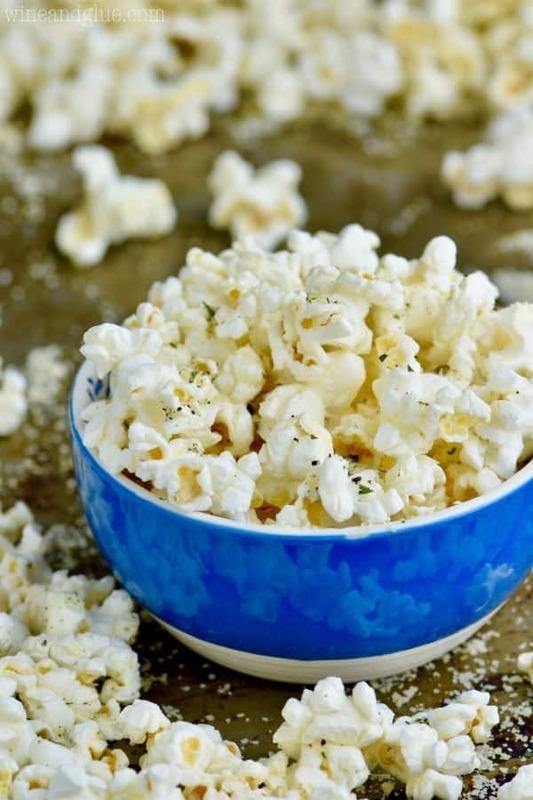 It is made with some great ingredients that add so much flavor to the popcorn that you feel like it is a real treat, but you also feel great about eating it. Plus it comes together in about five minutes! While the popcorn is still hot, toss it with the cheese, oil, and spices. The Subway sandwiches do look and taste so much better, and are much healthier, than other fast food places I won’t even name here. We love popcorn in this house and, I must say, of the sweet kind. I will give this recipe a go since the ingredients sound like a savoury mix. Thank you. Very nice idea. I’ll try this recipe today for friends to enjoy while we watch a movie at home. :) Thank you…comfort food lover! PS: We’re all trying to sell our house and the 50+ showing are killing us…argh. Oooo, Carol! I”m so sorry!! I’m sending you good sell your house juju! We love Subway! Will have to try that sandwich for sure. Yummy Popcorn! Amazing popcorn! I tried this last night and I’m actually surprised, it’s really really good. I usually just use salt, but seeing how easy it is to have this tasty popcorn I’ll sure be making a lot more of it! Right?? So easy and so good!